David teaches performers a step-by-step technique for bringing truthful, theatrical acting to their songs. 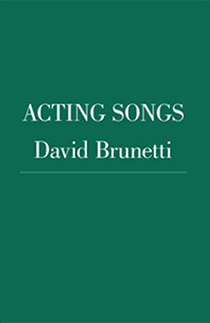 David’s book Acting Songs describes his step-by-step process for bringing acting technique to songs. David offers private vocal coaching at his New York studio, specializing in acting technique and repertoire suggestions. David Brunetti is a teacher, musician, and writer in New York City. 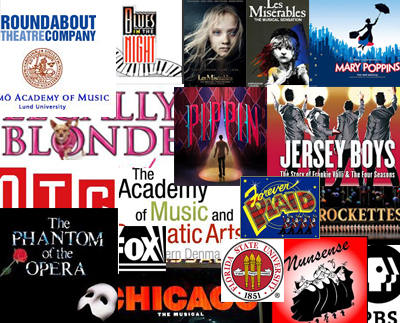 He has played keyboards and musical directed on and off-Broadway, and played piano on national television. 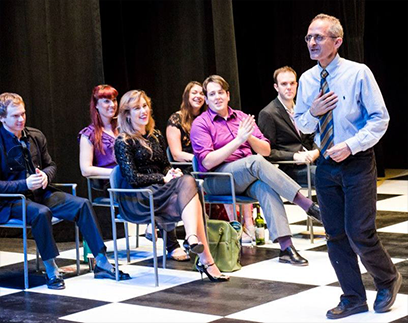 He specializes in helping people bring organic, theatrical acting to the performance of songs. He created a process which is outlined in his book Acting Songs, and which he teaches in Master Classes in New York and internationally.